Did the 2015 Tour de France deliver on its promises? 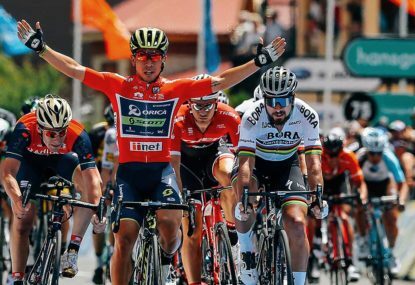 A four-way tussle for the yellow jersey, a revamped green jersey competition to favour stage winners and a course designed to crescendo not peter out. On the surface you’d have to give this Tour a B- for delivering on this manifesto. After Chris Froome convincingly pulverised his opponents in the opening mountain stage of the race at La Pierre-Saint-Martin, all talk of the ‘Big Four’ soon became the ‘Big Snore’ with the likes of defending champion Vincenzo Nibali, two-time winner Alberto Contador and the great hope Nairo Quintana all well off the pace. Froome picked up the yellow jersey earlier than expected before losing it for two days to Tony Martin and a third to etiquette, following the German’s unlucky fall at Le Havre. 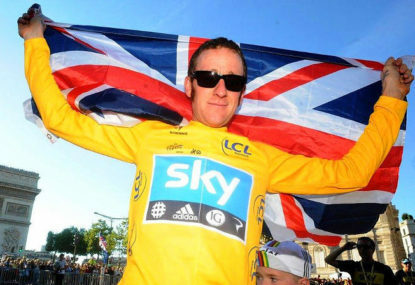 Such were Froome’s commanding performances in yellow that his time at the top was accompanied with a barrage of relentless innuendo surrounding his integrity – with the French press and the people’s jury on Twitter all condemning a man and his team perceived as all too redolent of a former cheating champion. The redolence took on a new putrid dimension when Froome was subjected to glasses of urine and cascades of spittle – not to mention the abuse and jeers – from a minority of fans lining the roads. And yet slowly the pendulum was turning – and just as many had predicted (most notably Eusebio Unzué, the general manager of Movistar himself), the momentum started to favour Quintana once the race hit the high Alps. Quintana’s time game at La Toussuire planted a seed of doubt or hope (depending which side of the fence you stood) and when Movistar delivered their tactical masterclass on Alpe d’Huez in a three-pronged attack involving Quintana, Alejandro Valverde and Winner Anacona, there was a moment when even Froome thought he had lost the Tour. The eventual winning margin of 1:12 was the eleventh smallest in history – and had Quintana not lost so much time in the crosswinds of stage two in the Netherlands, his white jersey could well have been yellow. 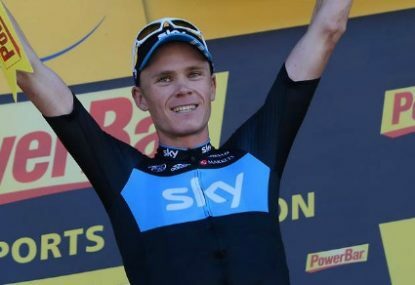 Indeed, for a route that was initially perceived as “anti-Froome” it was a remarkable coup for the Kenyan-born British rider and his Sky team to emerge from the Lowlands and cobbles of northern France not only unscathed but seemingly in control of the race. The lack of a long individual time trial was supposed to hinder Froome – but this aspect of the course proved to be well adjudged for it kept Quintana in with a shout even in spite of those early losses. 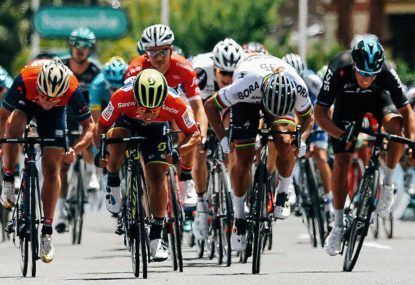 Interestingly, it was a yellow jersey battle which only became a two-horse affair in the last few days of the race – completely mirroring what we saw with the green jersey. Back when Froome was sitting pretty in the Pyrenees, many fans were at least relishing the prospect of a thrilling fight for green – on the back of Andre Greipel’s stellar performances in the sprints. How soon this changed. Peter Sagan’s run of five second-place finishes – which came to the fore during four intriguing transitional stages from the Pyrenees to the Alps in which the Slovakian featured in the breakaway every time. A rejigging of points to favour stage winners was meant to give the triple green jersey winner Sagan a run for his money this year – and yet even four stage wins (to Sagan’s zero) were not enough for Greipel to emerge victorious. And yet it has to be said, never has a more one-sided competition been as thrilling to watch as the one-man show that is Sagan, a rider incapable of taking a back seat. So determined was he to end his winless streak, he wowed with his every pedal stroke. That the rule changes failed to see Greipel win the green jersey should bear no criticism to those who made the changes or even the rules themselves. Instead we should just marvel in the man who took it all in his stride and did what he does best – finish consistently high over all terrains and do so while making everyone smile. Elsewhere, the Tour delivered on the high expectations of the host nation – born from having two Frenchmen on the podium in 2015. 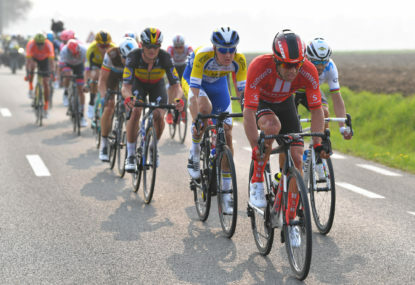 Amid the talk of the Big Four, there was genuine belief that some of the French talent – the likes of Thibault Pinot, Romain Bardet, Pierre Rolland and Warren Barguil – could deliver on a course that seemed to favour their strengths. That three of those four riders were out of the reckoning before the end of the opening week was unfortunate – but the way both Pinot and Bardet bounced back, particularly after they had their collective pocket picked by Briton (Boo! Hiss!) 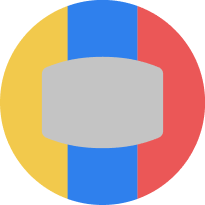 Steve Cummings at Mende, was a wonderful advertisement for the sport and French cycling. And while Barguil tailed off in a way as could be expected for a raw Tour debutant, Rolland rode exceptionally well in the Alps and Pyrenees. He may not have added to his three Tour career stage wins, but an interesting stat shows that the Europcar rider would have finished fourth in the Tour (and not tenth) had you discounted the four stages that started abroad. This Tour also threw up enough drama from the underdogs and outsiders to tide us over while that yellow jersey duel had yet to reach boiling point. Greipel’s unexpected run of wins were a welcome reminder of the benefits of experience and a good train. Alexis Vuillermoz upset the favourites at Mur-de-Bretagne and gave the host nation a much-needed boost. Rafal Majka showed why is he one of the best climbing prospects out there. Greg van Avermaet’s victory was one for the peloton’s nearly men, while both veteran Ruben Plaza and a tearful Simon Geschke looked back at 15 years of hard toil in the build-up to their moment of glory. Finally, there were the subplots key in making any three-week deliver on the unpredictability stakes. Daniel Teklehaimanot delivering Africa its first ever polka dot jersey brought the Eritrean fans out in force. Dan Martin missed the break in Stage 11 but then fought tooth and nail to the front of the race, almost catching Majka in Cauterets. Alexandre Geniez almost pulled off a home win in Rodez before starring in FDJ teammate Pinot’s victory atop Alpe d’Huez. The list could go on, and my grade of B- for the Tour is a fair return for the spectacle we have just witnessed. Of course, it leaves some room for improvement. Oleg Tinkov is not wrong when he states that had Quintana, Nibali and Froome all done the Giro like his leader, Contador, then the fight for yellow would have been far more exciting. For cycling to continue to thrive we need the best riders competing each year and the chance of a different winner every year. A lot will depend on how the next 10 months pan out, but unless something extraordinary happens, it’s hard to look beyond Froome and Quintana. Quintana’s deficit was 4:20 in 2013 and just 1:12 this time round. The Colombian is getting stronger as he gets older. Next year will be the last in which he qualifies for the young rider classification – but you can bet he will return to France with yellow, not white, on his mind.